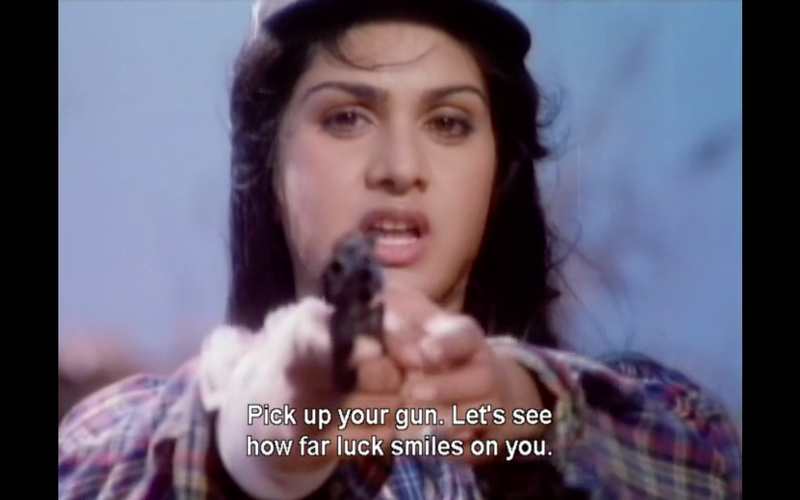 How to mark the momentous occasion of the 1000th entry in my Indian cinema-watching career? A colleague suggested I watch something with "thousand" in the title. Googling yielded 2001: Do Hazaar Ek, a Raj Sippy film about a serial killer; Hazaar Chaurasi Ki Ma, a National Film Award-winning piece by Govind Nihalani about Naxalite struggles; and Inaam Dus Hazaar, a remake of North by Northwest. 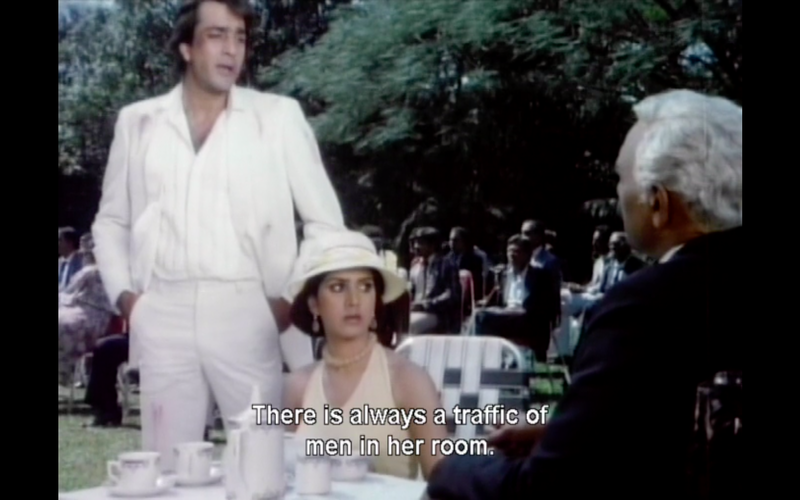 No contest: always choose the project in which Sanjay Dutt plays a Cary Grant role. But Hindi cinema cares not for heroes' regional fame, and he is immediately dispatched by Gulshan Grover ☑️A+ assassin casting, wearing his leather jacket and sunglasses in the water. 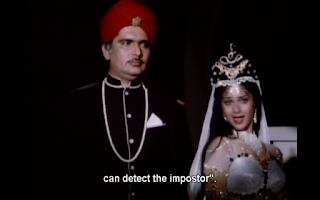 He strangles Satish with a wire that unfurls from his wristwatch. 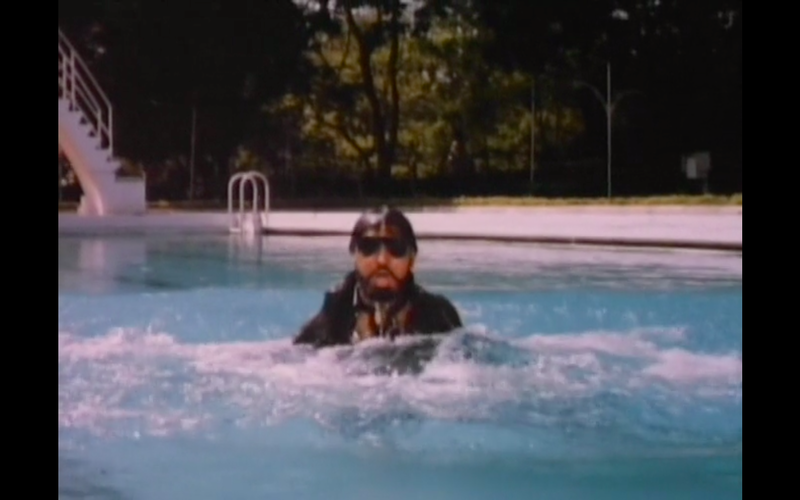 For reasons I cannot discern, the film makes a big deal out of Gulshan taking off his black Beatle boots before getting in the water. Seriously, this is the best evil cast. They and helpful dog Brutus ☑️ anipal question him. To get rid of him for good, they force him to drink a lot of tea-in-an-alcohol-bottle and pop him behind the wheel of a car. After he crashes, the police haul him to jail, where he protests his innocence. He takes the police back to the jeweler's home, where everyone pretends not to know him and can offer up evidence that they were out of town and were never injured in the fight. 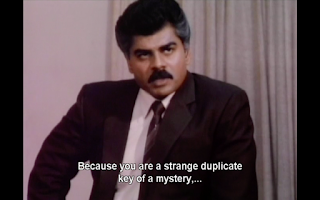 Kamal goes back to his mother's house ☑️ hero lives with mother and receives a call from Sharat Saxena ☑️ A+ mysterious man casting , who tells him that only one person can save him from this pickle, and that person is the REAL Kamal Malhotra, currently in a hotel room. Kamal finds the room empty, searches it, and receives another call from the jeweler. We hear a weird creaky whistle and the camera pans down to a pair of legs in camo pants and white Beatle boots. ☑️ evil motif UHOH KAMAL!!! In a struggle, Gulshan accidentally knifes the jeweler instead of Kamal in the hotel lobby, but Kamal catches the collapsing body and is covered in blood, so everyone accuses him as Gulshan escapes. 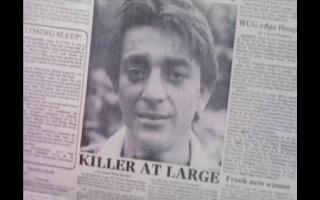 Soon the police are after him, and the newspapers get hold of the story too. 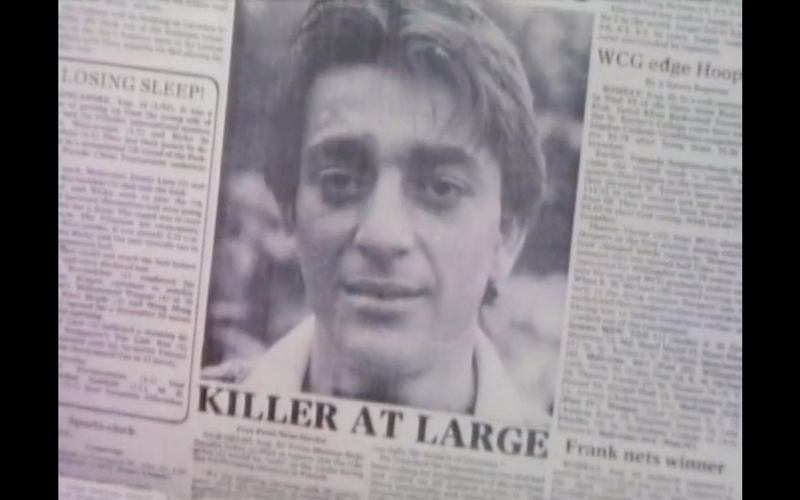 Thinking the only way to clear his name is to find the real killer and turn him over, he follows the one clue he has: the killer's train ticket to Bombay. 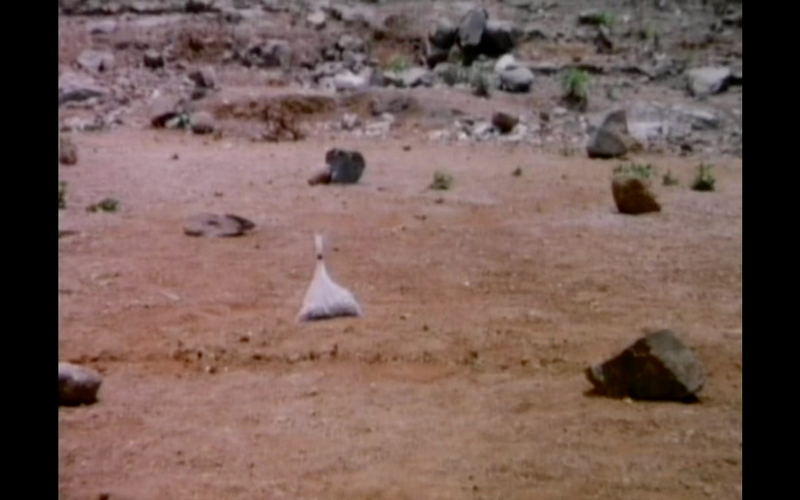 A helicopter arrives out of nowhere and Kamal convinces the pilot to take them to Bombay. 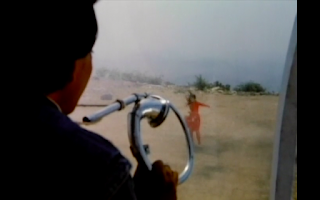 This sequence goes on a little too long for my taste, but it has genuinely funny moments, like Kamal carrying around a horn that was salvaged from one of their vehicle crashes and then singing to her suspended by the helicopter over a pond. Once they get to Bombay, he notices the catalog for the Nawab's jewels in her bag. She admits she is modeling for the show, and he admits that the jewelry exhibition in Delhi was the beginning of his troubles. BUT OHO! AHA! She isn't just modeling for them: SHE IS IN CAHOOTS. I haven't seen many of Meenakshi's films but I am impressed with how well she shows Sonia's crushing disappointment in discovering the man she loves is someone her bosses want dead. In a strange scene involving tanning lamp/heat-based therapy so bright that everyone wears sunglasses, Sonia rats on Kamal to her bosses. Kamal picks Sonia up for a party and blathers on about having found the girl he wants to marry. ☑️ regressive opinion about how women should behave But then OH NO Sharat Saxena knocks on the door to announce it's time for the party! Why is he so menacing? 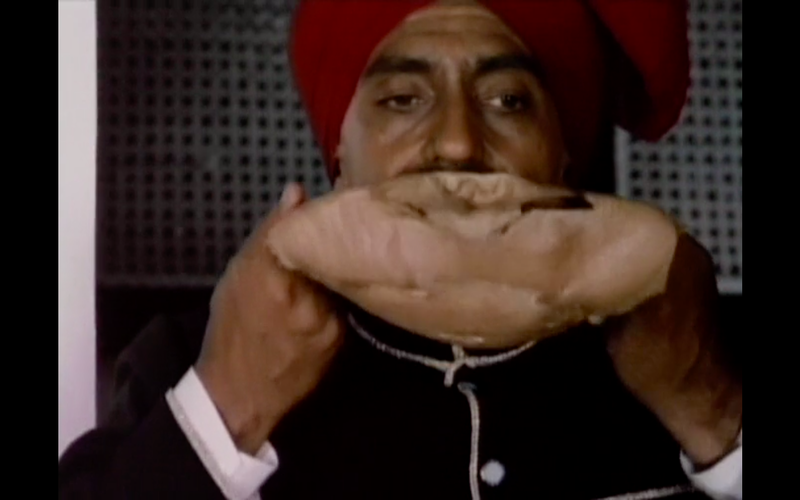 At the party, Kamal finds himself in conversation with Captain Singh, who is identified to Kamal when his musical pocket watch goes off. Singh's goons try to carry Kamal off, but the Nawab arrives just in time to interfere in some of their villainy. Then it's time for a song! "Kabhi Ye Hath Hai" is an extremely weird and cool song, especially of ☑️ the type where a woman sings lyrics that describe in metaphor the peril that the hero actually finds himself in. 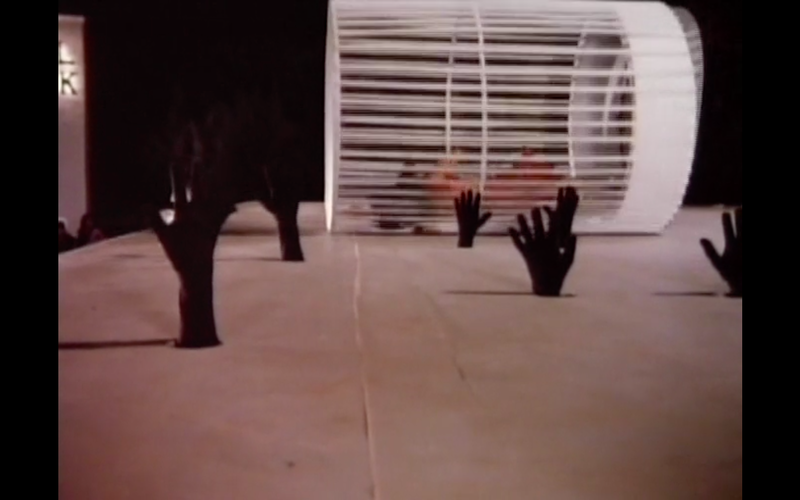 Sonia dances in decorative chains while dozens of disembodied gloved hands try to grab her, brandish weapons, clap, or play musical instruments. Kamal and Khan escape another attack in a fiery collision, and Kamal heads to Sonia's room to confront her about being in cahoots with his tormentors. She spikes his drink and he falls asleep, but unfortunately Gulshan has wised up to her emotions for Kamal and comes to confront her. He attacks her but she manages to plunge a knife into his back, and he flails around the room in a prolonged death scene. It's great. Sharat reveals that an officer with Kamal's same name was supposed to show up in Delhi, but there was a mixup and the bad guys went after the wrong Kamal Malhotra. 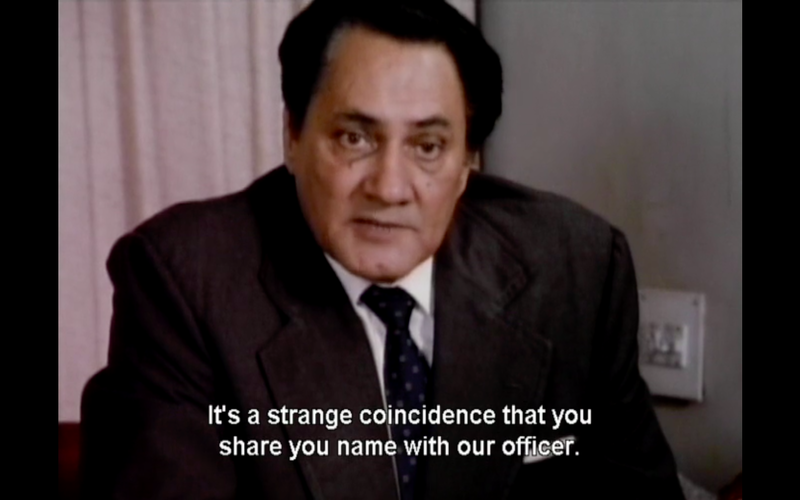 Unfortunately, the bad guys are also trying to sort things out, and after questioning Sonia realize that Gulshan's suspicions were correct and that she is their enemy. Brutus is sent to sniff her out (literally) and like all good airport sniffer dogs shows affection to her, a code to his handler that she is a rat. 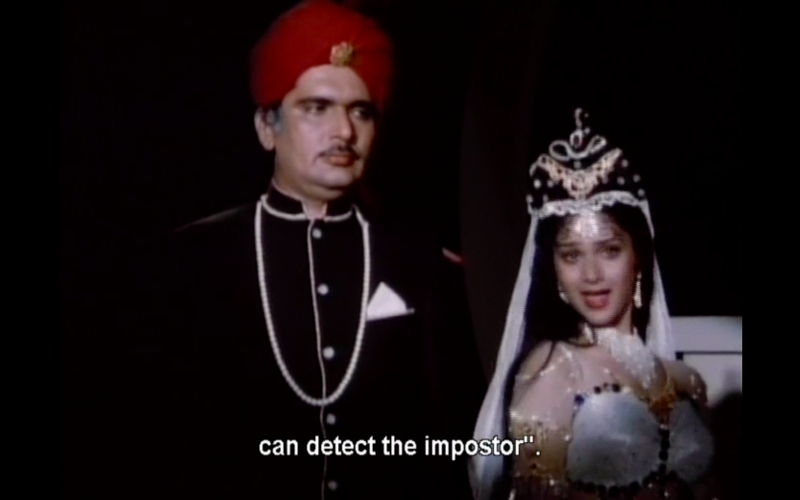 While most people are busy watching her dance, Singh's baddies cosh the Nawab and Singh puts on a creepy rubber Nawab mask to disguise himself. Once again, Sonia/Kamal's song narrates what's happening. 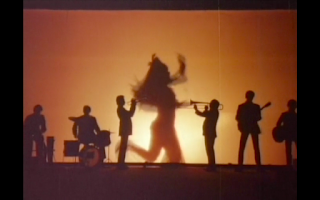 And it contains a backlit backdrop of ☑️ musicians playing instruments that aren't in the song. 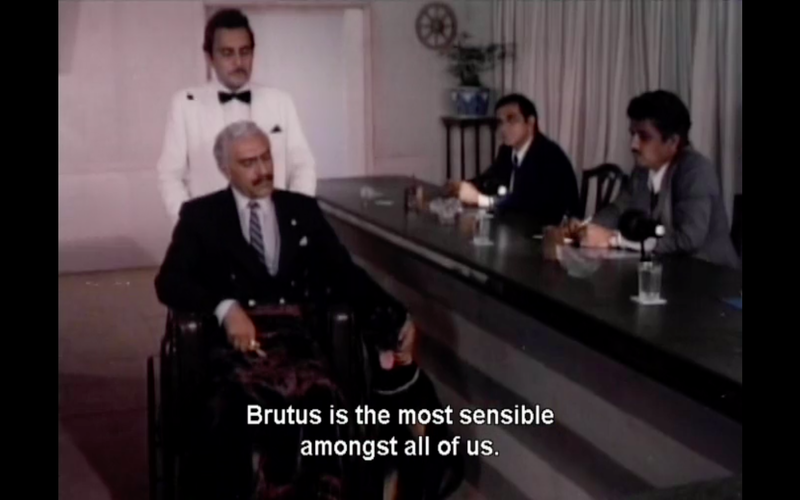 Kamal watches all this from the other room on a close-circuit tv, and thanks to careful observations of the Nawab's smoking habits realizes that a switch has been made. Singh and his crew nab Sonia/Kamal ☑️ baddies use female love interest as bait and run off with her into the woods. and there's a funny yet effectively icky sequence of their attackers being killed by bees. 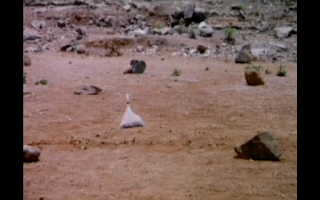 Kamal also tries to recapture the Nawab's gems, and there's an extended sequence of the gems changing hands in an open field as various people run out from behind large boulders and other people shoot at them. The continuity in this sequence is...lacking. Taken as a whole, Inaam Dus Hazaar embodies what I love most about masala films, especially those of earlier decades: we may know exactly what's going to happen (and not just because it's a ☑️ remake; probably without proper acknowledgment or permission), but we can't predict the details of how. 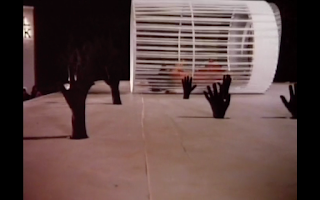 Even after 1000 films, I'm surprised by things like the bee attack, the sympathetic villain dog, the particulars of creative song sets and choreography, and a young woman getting to have final say in how justice is carried out. 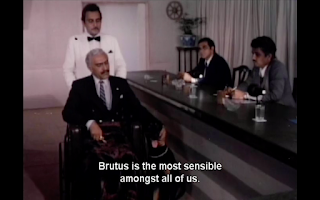 Whoever 1987 Hindi cinema's version of 1959 Cary Grant is, it surely isn't Sanjay Dutt—and yet this film reimagines its source material very well to suit its own context and wisely doesn't shoehorn in direct copies of some of the original's most iconic moments (the UN and Mount Rushmore). It's well paced, funny, unfettered by secondary plots or comic relief, and suspenseful if you don't already know the story. While it's not as gleeful or beautiful as my favorite masala films, the people involved know what they're doing and the film knows its own style. Congratulations on your 1000! I have over the years enjoyed reading your articles and i am glad you intend to continue. Many congratulations. Always look forward to reading and learning from your viewpoint.